Memorial Day Sale | 20% off Entire Purchase! With Spring quickly winding down, it's still a great time to get your garden spuced up for the season. 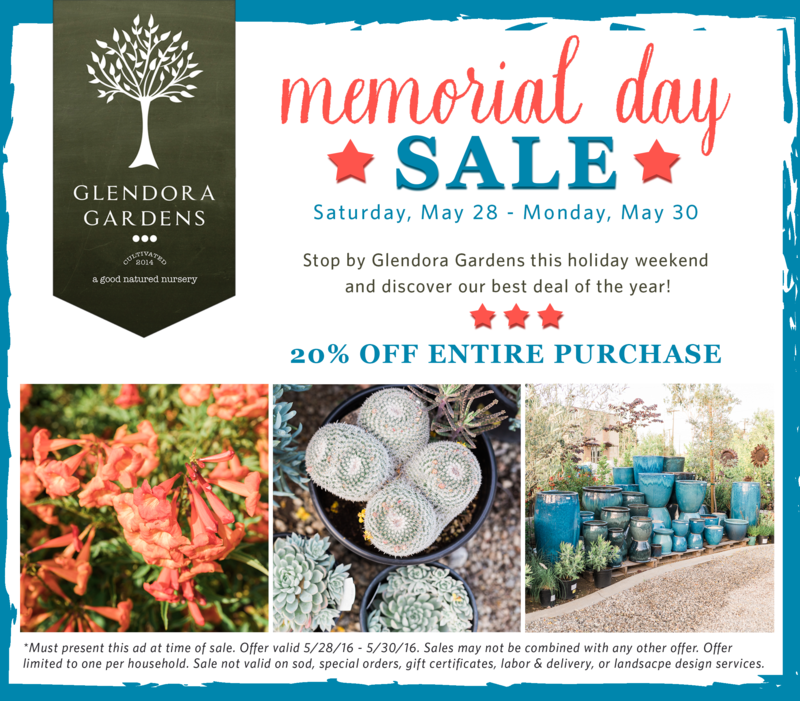 Come in this holiday weekend and celebrate with our biggest sale of the year! Don't miss out! Make sure to present this ad when you check out to take advantage of the full discount!